Glenashton Park is our Home Ground. We have a great atmosphere, surrounded by Baseball Diamonds, a Skateboard Rink, Soccer Fields, etc. 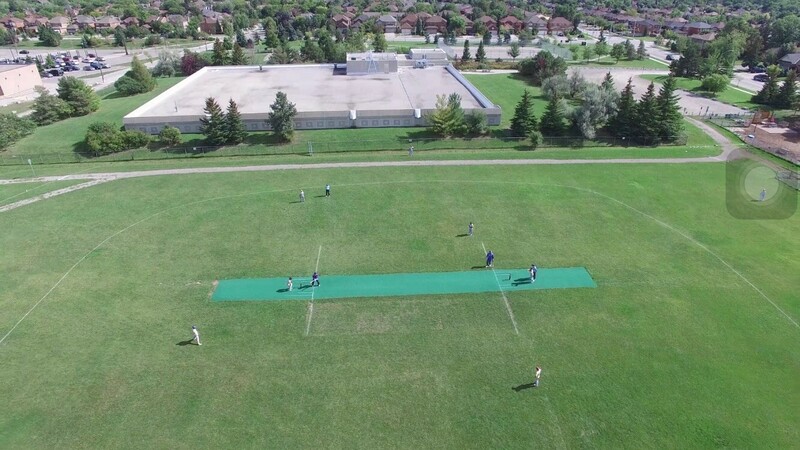 The Town of Oakville has been very supportive in helping us grow the sport in the neighbourhood by constantly making improvements to the facility. The only unfortunate thing is that the ground is only 75% size of what is actually required for cricket. We are, however, in talks with them for providing a proper facility where we can play, and grow the sport in our Town of Oakville. The International Cricket Council have defined that the ground size should be a minimum of 60 meters from the batting area to the side boundary and 64 meters from the batting area to the straight boundary. We have a batting cage for our Practice Sessions, and our beautiful ground features an artificial turf pitch in the middle.